From the wrestling manga Kinnikuman comes this recreation of Special Man! 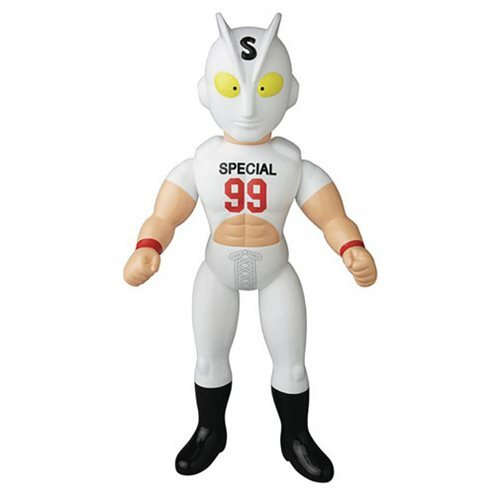 This sofubi vinyl figure features the wrestling competitor from the 20th Chojin Olympics. Made of soft vinyl, this Red Man Sofubi Vinyl Figure stands 9 7/8-inches tall.